Health organization is a place where all the works have to be handled vigilantly. Managing the organization efficiently demands for utmost effort and vigilance. It is not a plain sailing work to manage a health organization. Whether it is to manage a diagnostic center or pharmaceutical business or a hospital, managing healthcare organizations is a tedious work as lots of sensitive and crucial tasks are involved and to manage those crucial tasks efficiency as well as time is required in great amount. Besides, the long queues outside the billing counter becomes very difficult to manage at times as it is the task that involves lots of hassles, both for the customers/patients and businesses. So, to address such issues Prepaid/Loyalty Health Card is introduced that will help the healthcare organizations to work efficiently without any hassles. We have been serving a large number of healthcare organizations with our Prepaid/Loyalty Health Card solutions that are designed in adherence with your organization, allowing patients to take medical advantages at every hospital across the city. This Loyalty Health Cards are of excellent quality and meet the specific requirements of clients and can be availed at very reasonable prices. 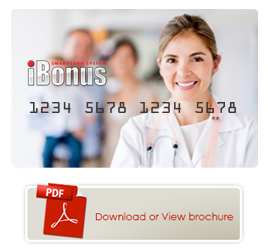 The primary objective of this Prepaid/Loyalty Health Card is to offer ease of use, increase productivity of the healthcare organizations and cost savings. So, if you are also looking for such advantageous loyalty card for the betterment of your organization then opt for our smart card solutions for your organization and get rid from all the issues. Being a leading service provider, we endeavor to provide services and solutions by keeping the best interests of customers in mind. Our clients can rely on us when it comes to seek assistance to make wise, informative and cost-effective solutions to enrich the bottom line of the organization. Placing out clients at the top of the agenda is our prime focus and we will be pleased to serve you anytime. You may contact us for assistance at +971 4 3338681 or write us an email on iBonus@avi-infosys.com and one of our representatives will get in touch with you.